What if I told you there was a corporation with franchises in every state — and one overseas — that collected $1.62 billion in revenues annually and paid virtually no federal, state, or local income taxes? That corporation is the National Education Association, whose 3 million members send contributions every paycheck. The one price NEA does pay for its tax exemption is that it must file an annual financial disclosure report with the Internal Revenue Service detailing its income and expenditures. These reports are public records. They are filed well after each affiliate’s fiscal year is complete, leaving us to examine disclosures that are now 18 months old. I have compiled information from the filings of NEA and all its state affiliates except Missouri for the 2016-17 school year. If we include an estimate for Missouri NEA based on its previous year’s filings, the total revenue collected by the union exceeded $1.62 billion, a $20 million increase over 2015-16. 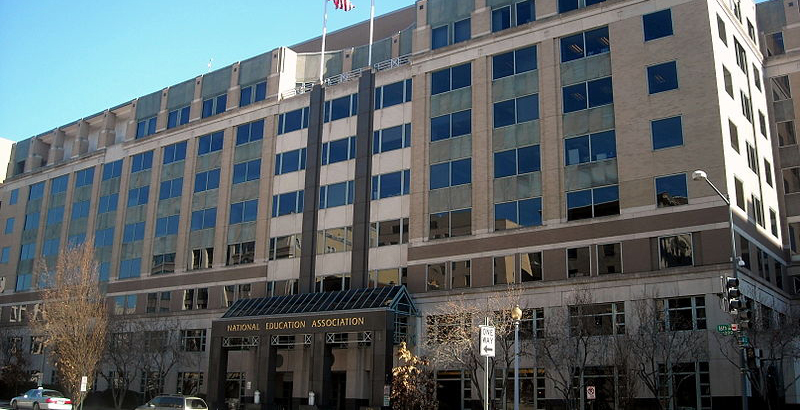 NEA national headquarters took in more than $374 million and ran a $13.4 million surplus. It returned nearly $100 million to its state affiliates in the form of UniServ grants and other assistance. It appears NEA affiliates are separating into three camps. Its strong affiliates — all of whom represented public education employees in the former agency fee states — are quite rich. The California Teachers Association had a $25.6 million surplus and held more than $226 million in net assets. Affiliates in Alaska, Maryland, Massachusetts, Minnesota, Ohio, Oregon, and Pennsylvania all held healthy reserves. The second group consists of the union’s weaker affiliates in states that never had agency fee laws. Many of these unions rely on national subsidies just to continue to operate. Thirteen of them got more than one-fifth of their revenues from NEA. The third group holds large state affiliates that ought to be strong but are saddled with significant debt, largely due to retiree health care and pension liabilities. The worst budget-buster was New York State United Teachers, which ran a $31.3 million deficit, bringing its accumulated debt to an astonishing $434.7 million. Other state affiliates with major red ink included Illinois (negative $34.9 million in net assets), Michigan (negative $216.9 million), New Jersey (negative $42.4 million), and Washington (negative $28.3 million). These figures may constitute the high-water mark for NEA, as the 2017-18 filings should reflect at least some of the effect of the June 2018 U.S. Supreme Court Janus ruling on agency fees. But it will be at least two years from now before we have a complete picture of its consequences for NEA and its affiliates.